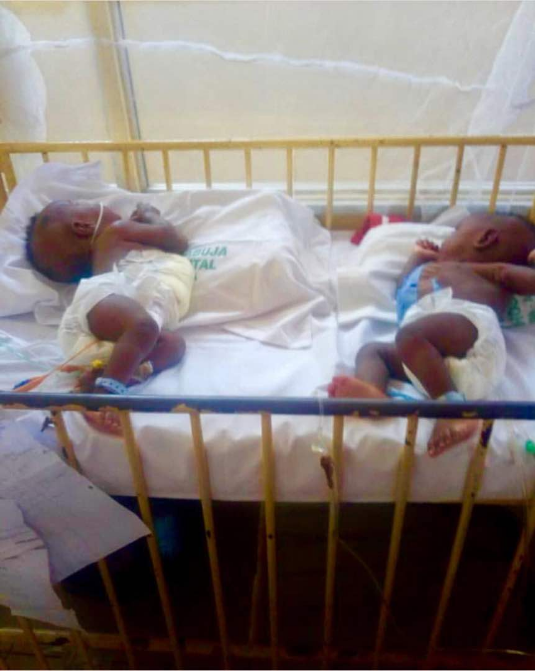 The Management of the University of Abuja Teaching Hospital, UATH, has confirmed the survival and stability of the conjoined twins who were separated four days ago in Abuja. Chief Medical Director (CMD) of UATH, Dr. Bisallah Ekele, on Friday made the confirmation during an interview in Gwagwalada, Abuja. Recall that a team medical doctors at UATH successfully carried out the corrective surgery to ensure the conjoined twins lived independently. The CMD went further to give an insight into the efforts made towards the success of the surgery. Ekele said: “On their arrival at our facility on June 11, 2018, having being referred from a mission hospital where they were born, appropriate experts were invited to review the conjoined twins. “The experts were convinced that they could correct the abnormality. That is, separate the conjoined twins into two independent babies. “We, then, took a decision as to when the operation would be done considering the fitness of the babies. Speaking also, the Lead Surgeon of the group formed for the separation of the conjoined twins, Dr. Samson Olori, said the surgery was carried out by two teams of paediatric surgeons, a team of plastic surgeons, two teams of anaesthetics, and specialist nurses. On the hurdles the group crossed to achieve the medical feat, he said: “The first hurdle was not on the surgery day but during the pre-surgery days. That is, making sure the babies were kept alive which we delicately addressed. “The other hurdles were anticipated based on our findings because after the initial clinical assessments, there were several CT scan investigations to determine the organs they were joined. So, we knew their livers were joined. “So, the hospital management provided some modern gadgets we deployed to make sure the surgery went well. It did go well as we contained the surgery of about 7hrs to 5hrs.